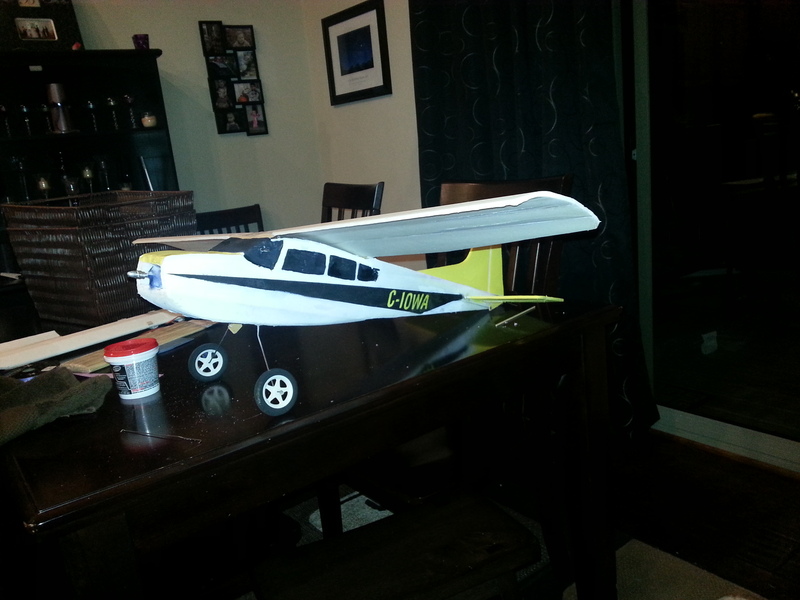 Hey guys just thought I would post some pictures of my latest build. 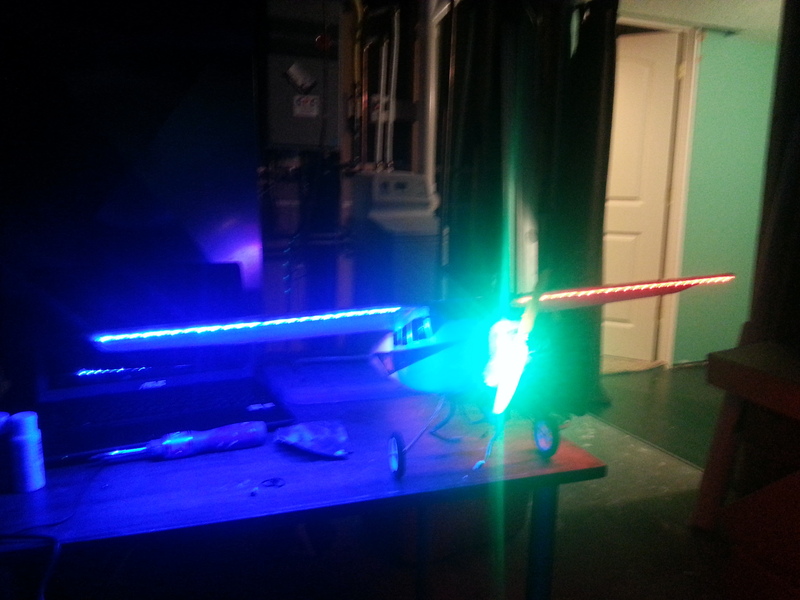 I got the plans from RCGROUPS and modified them to work with DTFB (which didn't take much.) Unfortunately I don't have any picture of the build process, I really need to get better at that. I can however try to answer any questions that you may have. The plane is a great slow flyer. 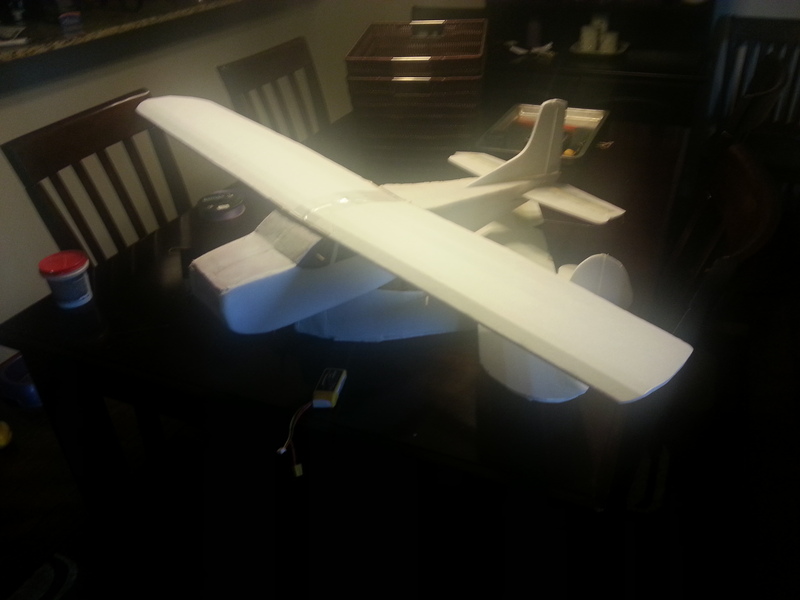 Its 3 channels but can be modified to have ailerons, which I plan to do on the next build of it. 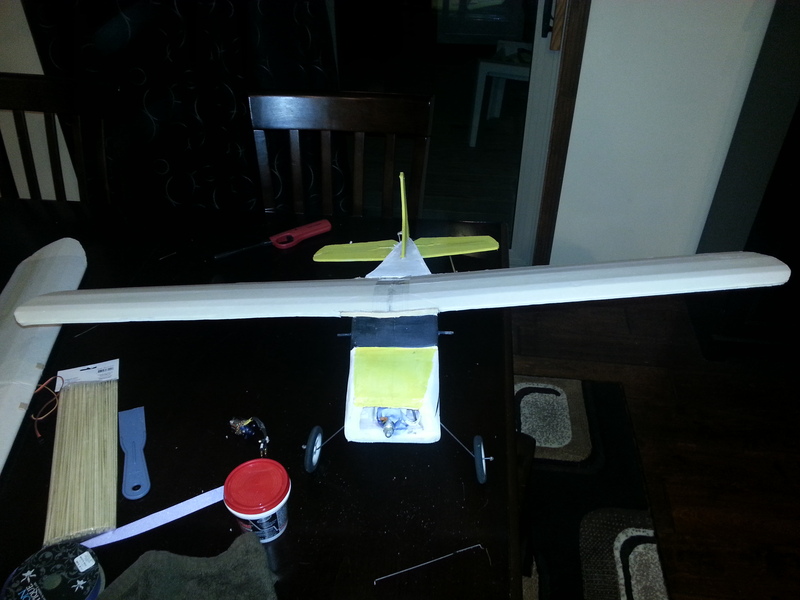 I did end up having to put a carbon spar in my wing because I folded 2 of them over doing loops. With the added carbon I have tried to fold it and simply cant! 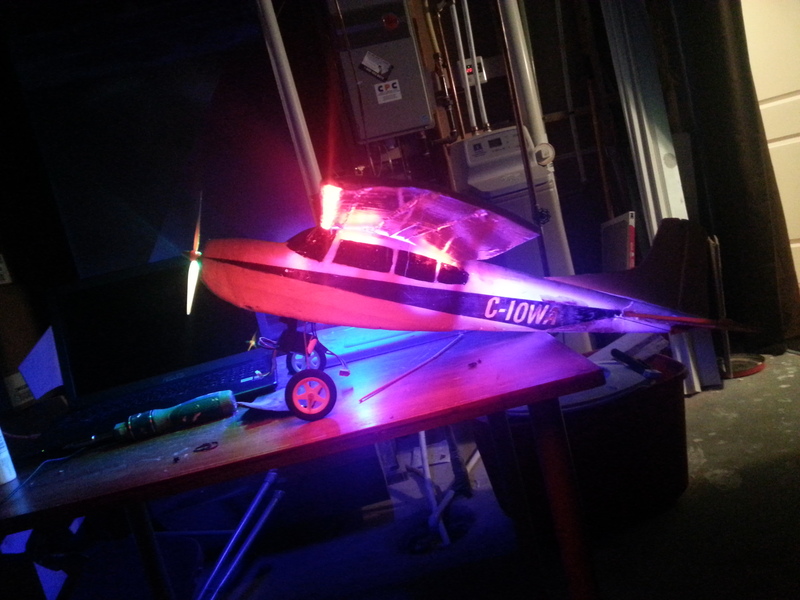 This one I decided since it is such a docile plane to turn it into a night flyer so I added LED's, I feel that the results turned out pretty cool. Currently I don't have any internal images but I will try to get some if there is interest. 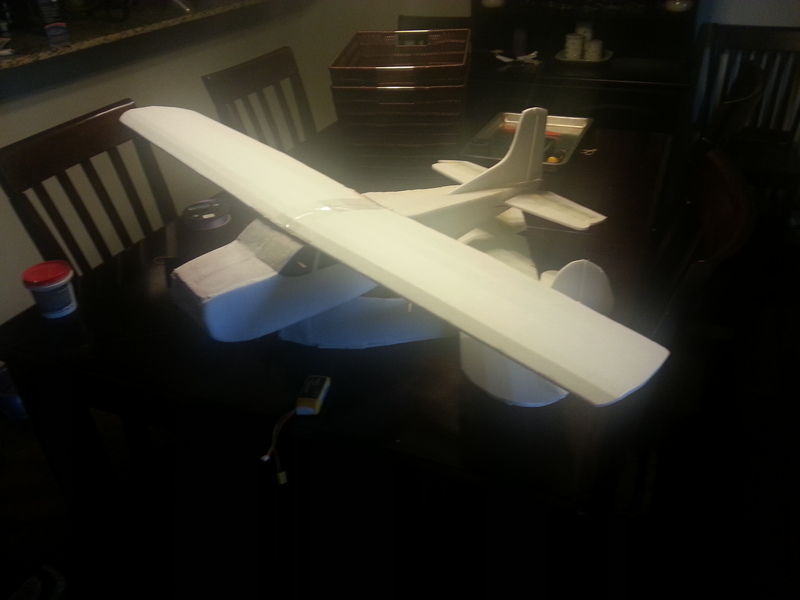 Thanks Ron, I used a few techniques and materials that flitetest doesn't use. I used some 2" thick pink insulation foam and a hotwire cutter which was interesting. All in all it is a very sturdy build. 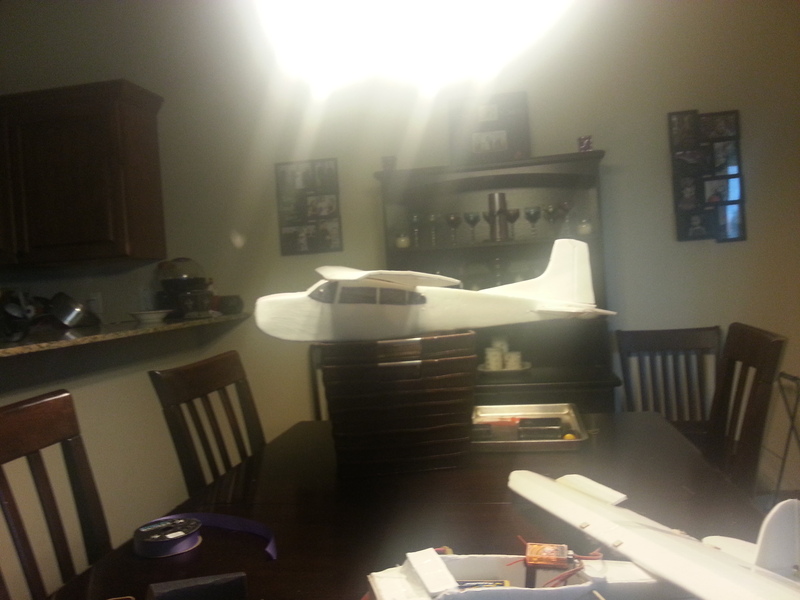 That's the nice thing about scratch building, there are no rules. What ever you have, what ever works, and what ever you find easiest. 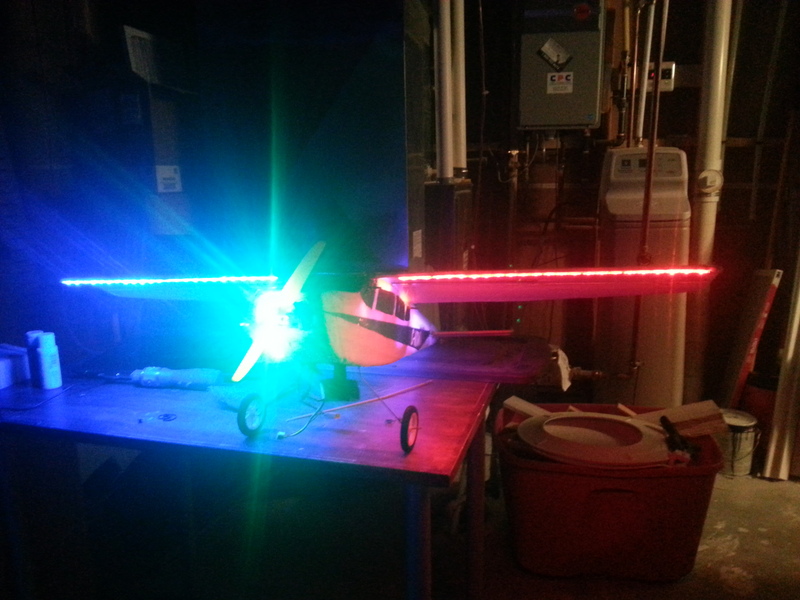 I looks like a great plane, if you can get some video I'd love to see it in the air.